It’s that time of year again: the Diageo Special Releases 2016 are here. 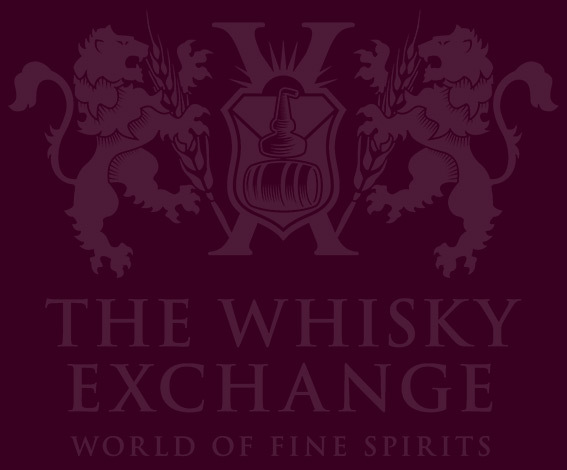 Well, almost here – they’re earlier than usual this year and should be hitting The Whisky Exchange website on the evening of Wednesday 21 September. Other than that, it’s business as usual. 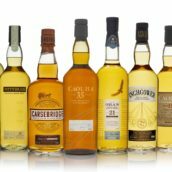 For those who don’t know them, the Diageo Special Releases are a yearly range of whiskies that appear every autumn, and have done for the psat 15 years. 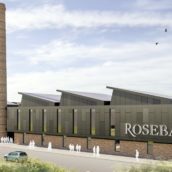 Diageo owns more distilleries in Scotland than anyone else, but not all of them get much exposure – the Special Releases are an opportunity to fix that. 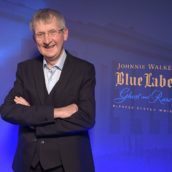 There are a couple of regular fixtures in the range – whiskies from closed Port Ellen and Brora, as well as a Caol Ila and a 12-year-old Lagavulin – but the rest change from year to year. We recently got to try the complete range with master blender Maureen Robinson, so without further ado, here’s this year’s line-up, along with my thoughts. Hard to pronounce and rarely seen, Auchroisk’s single malt used to go by the name of Singleton. 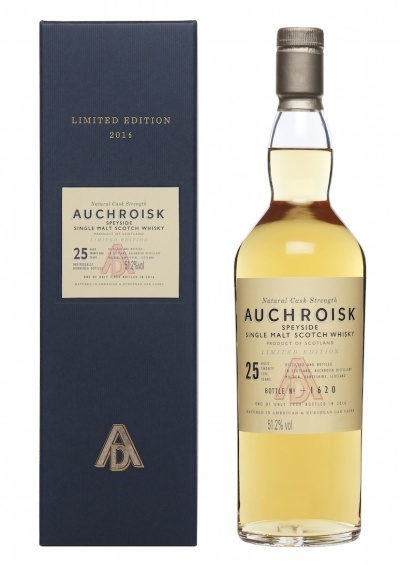 This third appearance in the Special Releases is a mix of refill American and European oak casks, and is quite different to the sherry-heavy Auchroisk 30yo released a few years ago. Maureen described it as ‘green grass and fresh linen’. Nose: Fresh, green and sharp initially, with some softening sweet vanilla developing. Citrus zest and freshly tumble-dried laundry (lemon-scented Bounce) follow. Lip balm, touches of mint cream, clove and aniseed finish things up. 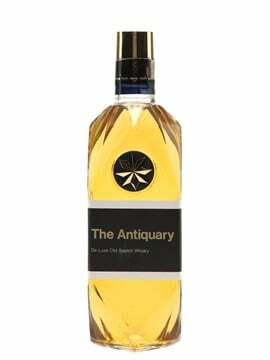 Palate: Creamy and floral to start, with leafy notes of mint and fern backed up by softly spicy aniseed. Water beefs up the spicy notes, and adds in custard tarts and notes of fleshy orange segments. The spiciness build through the palate, culminating with a touch of black pepper. Finish: Dark chocolate, blackcurrants, blackcurrant leaves, rye-bread crusts, orange peel and a burst of anise heat before it fades away. Comment: The emphasis here is on the American oak, but great grassy and leafy character is hiding behind, tempered by just the right amount of spicy oak. 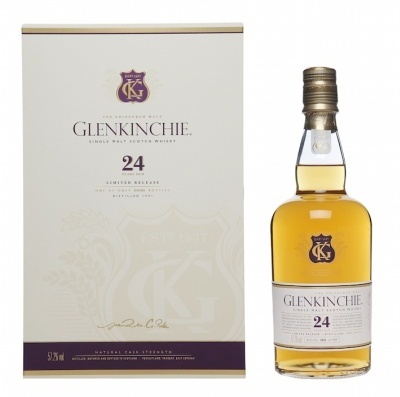 Glenkinchie gets a lot of undeserved abuse from whisky geeks – it stayed open while Rosebank closed back in the 1990s and we haven’t forgotten that. This release shifts away from the distillery’s regular Lowland profile, being fully matured in refill European oak. Nose: Sweet citrus, sugar flowers and royal icing, with a touch of Eccles-cake fruit – a slice of wedding cake and a slice of lemon drizzle on the same plate. Stewed apples and underripe mandarins add a sweet-and-sour note, with sweet and pleasantly dusty sugared almonds alongside. Water mulches down the fruit, with squidgy apple skins and warm oranges emerging. Palate: Darker than expected, with spiced sponge and sultanas on top of a wave of spice and concentrated fruitiness – apple squash and tropical fruit juice. Water wipes out the heat from the spice, revealing toffee apples and sugar-dusted Nice biscuits. Finish: More sugared almonds, a touch of aniseed-ball heat and juicy orange rolling down the sides of the tongue. Comment: Controlled European oak notes add a dark depth to Glenkinchie’s traditionally lighter style, with lots of fruit and a touch of spice. 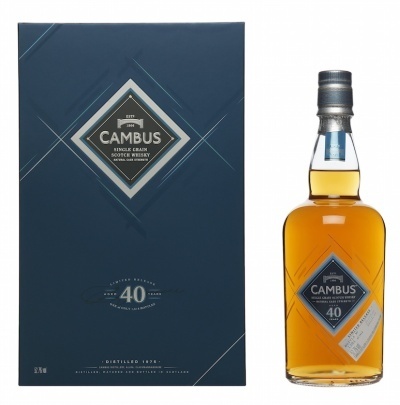 The now-traditional grain whisky entry in the Special Releases this year is from Cambus. 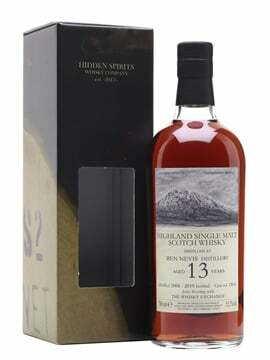 This is the first public release from the distillery, which closed in 1993; the only other official bottling was one that commemorated the closure. It’s matured in refill American oak and is quite punchy at 52.7% ABV, even after 40 years in wood. Maureen’s take on the classic Cambus character was typically sweet-shop related – ‘like strawberry Angel Delight and candy floss’. Nose: Toffee, varnish and model glue – the holy trinity of flavours that characterise both a misspent youth and a well-aged grain whisky. It’s dense without water, with bursts of fruit gums, wax furniture polish, cinnamon mints and coffee cream. Water opens things up, revealing stacks of squishy fruit and a touch of spicy sawdust. Palate: Sweet, spicy and concentrated with an almost Irish-pot-still-like fruity character – Wham bars, gummi bears, black fruit pastilles and fruit gums, dried mango, stewed sweet tea and a grind of black pepper. Water calms things down and sweetens things up with a sprinkling of toffee. Finish: More blackcurrant sweets, green leaves, dark chocolate and the varnish from the nose. Water adds in some dusty spice as things fade. Comment: Tasted blind, I’d swear this was an Irish whiskey – it’s packed with sweet fruit. Fortunately, it’s not a one-trick pony, and the spice adds another dimension. Another ‘traditional’ Special Releases entry – the one with no age statement. After two years of excellent Clynelishes that annoyed geeks by hiding the details, along comes a Cragganmore with little information. Maureen did reveal the cask make-up – with refill American hogsheads, rejuvenated American hogsheads and refill European oak casks all in the mix – and her tasting notes: ‘rosebuds and rosehip syrup’. Nose: Meaty with stewed fruit – singed beef, roast pork and apple sauce – and crisp unripe pear notes as a contrast. Damp hedgerows sit behind, with a hint of white-wine vinegar. It’s quite subdued at full strength, but water brings out more fruit. 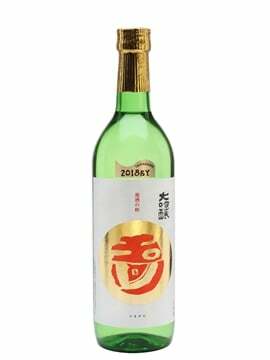 Palate: Hot and spicy, with a core of rich oak and green leaves surrounded by lemon sherbet and white-pepper spice. It can take a good slug of water, softening the peppery heat and revealing orange cream, brown sugar and touches of maple syrup. The sweetness and spice build as it sits, and not even water can hide the spicy heat. Finish: Lingering fruity sweetness, cinnamon sticks and fruity dark chocolate with a dusting of crushed malt – both regular malt and bitter, heavily roasted chocolate malt. Comment: Of this year’s selection, this is the one that doesn’t jump out of the glass at you, requiring some thought and time. But it rewards those with a deep, rich and complex dram. 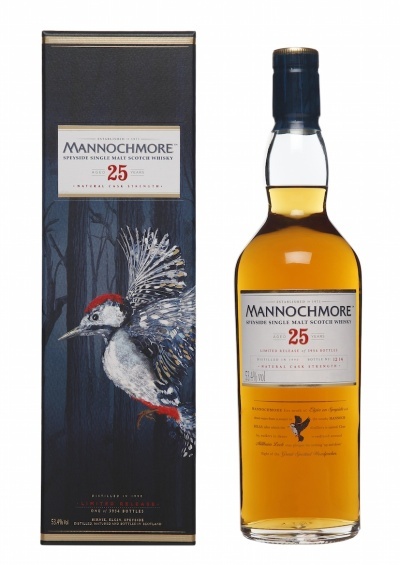 For those who like geeky stories, this Mannochmore is the highlight of this year’s Special Releases. The casks were part of an experimental Diageo program called Calculus, where whisky from different distilleries at various ages was combined with a range of cask types in an attempt to systematically research ageing, finishing and more. While one of the results was the Distillers Edition range, another is a huge number of interesting casks sitting in warehouses, waiting for a purpose. This release is a combination of first-fill bourbon, new-oak casks and European oak butts. Nose: Waxed apples and sugar-glazed apple turnovers, drizzled with spiced custard. Custard tarts dusted with nutmeg appear over time, with vanilla cream, toffee and hint of butter icing not far behind. With more time in the glass, musky notes of sandalwood and earthy spice develop. Palate: Salted toffee, stroopwaffel and blackcurrant jam to start. Icing sugar and sherbert come next, run through with orange oil, resinous touches – Heston Blumenthal’s pine Sherbet Fountain – and hints of new-oak spiciness: ginger and clove. Water boosts the sweetness and ups the richness, adding crème brulée touches. Finish: Shreddies with milk, raspberry syrup and fudge – the perfect breakfast. Comment: If you like your whiskies sweet and sticky, this one is for you. It never gets too sweet thanks to a whack of savoury notes that bring it back from the brink. This was the dram I was waiting for, having seen the details leaked online earlier in the year – I generally like Linkwood and this was distilled in my birth year. 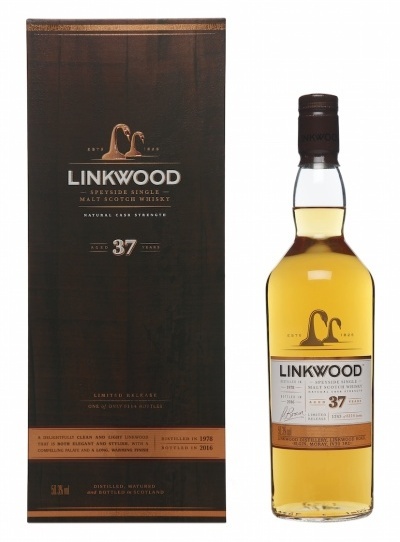 We’ve been waiting for another Linkwood Special Releases entry since 2008 and Maureen’s description was very encouraging: ‘red apples and a hint of smoke’. Nose: Polished apples, waxed jackets and honeysuckle sweetness. Hints of damp wool slowly develop, balanced by soft sweetness. Palate: Sweet and creamy – strawberries and cream, and rhubarb and custard sweets – with a background of crumbled brownie (chocolate soil, anyone?) and musky green leaves. Water brings out more candy notes and a touch of Turkish Delight. Finish: More rhubarb and custards, icing and green leaves. The sweetness slowly fades, leaving the leaves. Comment: Exactly my style of whisky and easily fulfilling my expectations. Creamily textured with controlled sweetness and a balance of sweetshop flavours and leafy, forest notes. My favourite of the evening. 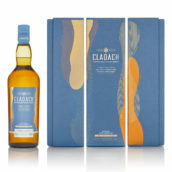 One of the four regulars in the line-up and the first of the more affordable bottlings. 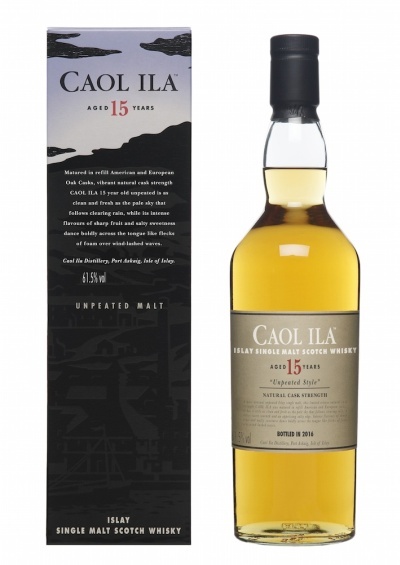 Unlike the distillery’s regular releases, it’s unpeated – although smoke sneaks into everything at Caol Ila – and is a mix of refill American oak casks and European oak butts. Another regular entry, and increasingly one of the most sought after. 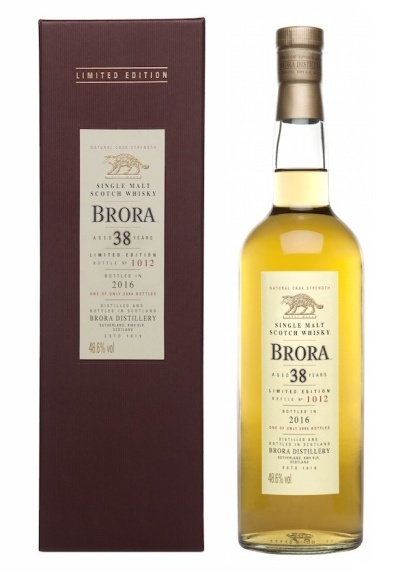 Brora closed back in the 1980s and the lack of recent independent releases suggests that it’s now even rarer than Port Ellen. Every year it’s rumoured that it could be the last time we see Brora in the Special Releases, and while I reckon they’ve got enough for a few more years, it can’t last forever. I’m a big fan of Brora, and Maureen’s comments before we tried this were exactly what I wanted to hear: ‘a typical Brora: mellow and spicy’. Nose: Waxed boots and jackets, damp blankets and dogs, meaty touches with a hint of farmyard, autumn-leaf bonfires, musty cheese rind (in a good way) and a touch of tinned pineapple. Palate: Soft and sweet, with sugared almonds and milk-chocolate-covered hazelnuts balanced by a light floral sweetness and a background of earthiness and hay. Sweet liquorice touches build along with red fruit gums and gentle smoke. Finish: Icing sugar, dark chocolate, earthy smoke and soft spice. Comment: While the phrase ‘typical Brora’ seems a bit damning, it’s actually a good thing. It balances the smoke and earthiness with the other side of Brora’s character: sweet and fruity notes. It is a typical Brora: very good. The third of the regular Special Releases entries, and the most affordable. It’s the go-to bottle for smoky-whisky fans, offering a rawer and less subtle take on Lagavulin’s character than any of the distillery’s other regularly available expressions. 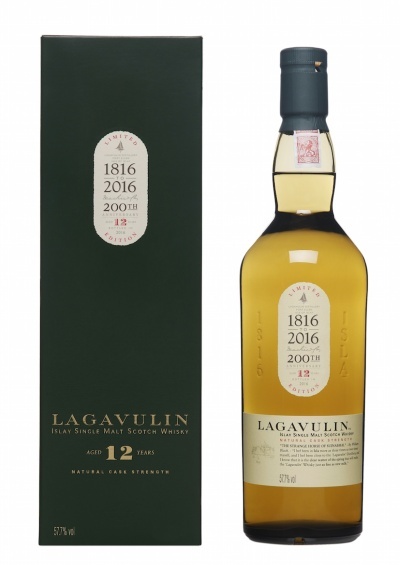 The launch of the 200th anniversary Lagavulin 8yo this year may steal some of its thunder, but I suspect this will still be the most popular bottle in the 2016 line-up. Nose: Bacon bits, sea spray, pine trees, ferns and mulchy leaves, all backed up by a slab of spice and damp smoke. Water adds in oily notes as well as bung cloth, dunnage warehouse and touches of creosote. Palate: Ash, sea-drenched rocks and smoky, cast-iron hearths. Sweetness rolls through the centre, with smoky salted caramel and sweet tea balanced out by tarred ropes and more of the bung cloth from the nose. Water brings out sweet black liquorice and softens the smoke. Finish: Toffee, honey, tar and spicy smoke. Comment: A bit of a beast which takes water well. It’s got all the smoky seaside character of previous years with great sweetness. The last bottle in the range and the most discussed each year. 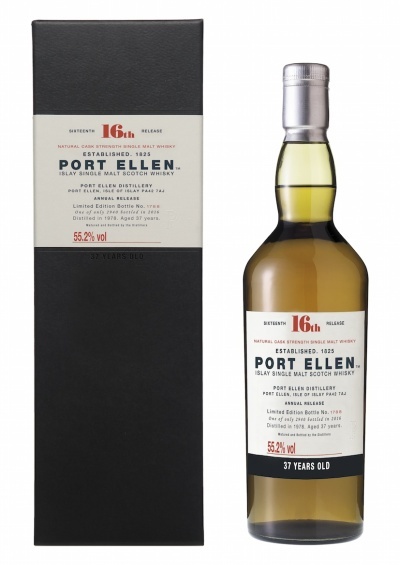 Port Ellen closed in 1983 and since then the distillery’s whiskies have become some the most sought-after in the world, and increasingly out of the reach of most of us. This year’s release was matured in refill American oak hogsheads and butts, and Maureen described it as ‘fresh linen but sweet and smoky’, quite different to some of the sherry editions of previous years. Nose: Sugared almonds, chamois leather, sherbet lemons, oily smoke, a hint of empty fish tins, brine, floral heather honey and bung cloth – an avalanche of flavours which work impressively well. As things calm down in the glass, spicy rye bread, musty green ferns and touches of hay appear. Palate: Sweet and oily to start, it quickly turns to sour apple with a big kick of spice – rye bread, nutmeg and white pepper. Behind that punch are leathery notes, caramel, treacle toffee and liquorice, with dark chocolate, blackcurrant jam and oaky smoke sitting right at the back. 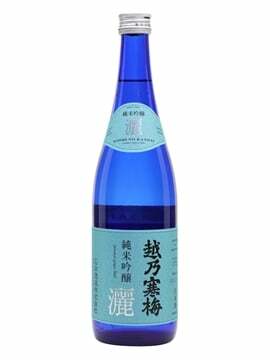 Water brings out more spice and fruit – apple leather, black pepper and freshly scraped vanilla pods. Finish: Driftwood, green leaves and forest ponds to start, with soft liquorice notes building before fading to sweet dark chocolate with a hint of fennel. It keeps going, fading to soft spice after a few minutes. Comments: It’s an intense dram, with water only adding more intensity – one to drink neat. It’s a classic Port Ellen with the almost clichéd chamois leather and sherbet notes balanced perfectly against gentle smoke and seaside character. An impressive dram. And that’s it for another year. Keep an eye on Twitter and Facebook for more details of when they’ll be available to buy online. 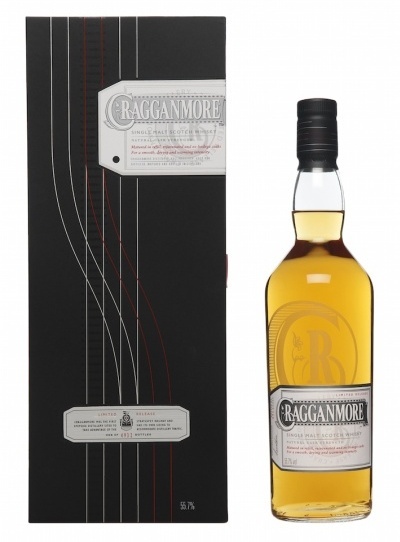 Previous Diageo Special Releases write ups: 2008 pt1/2008 pt2, 2009, 2010, 2011, 2012, 2013, 2014, 2015. I’m going to put my credit card somewhere where I can’t find it.